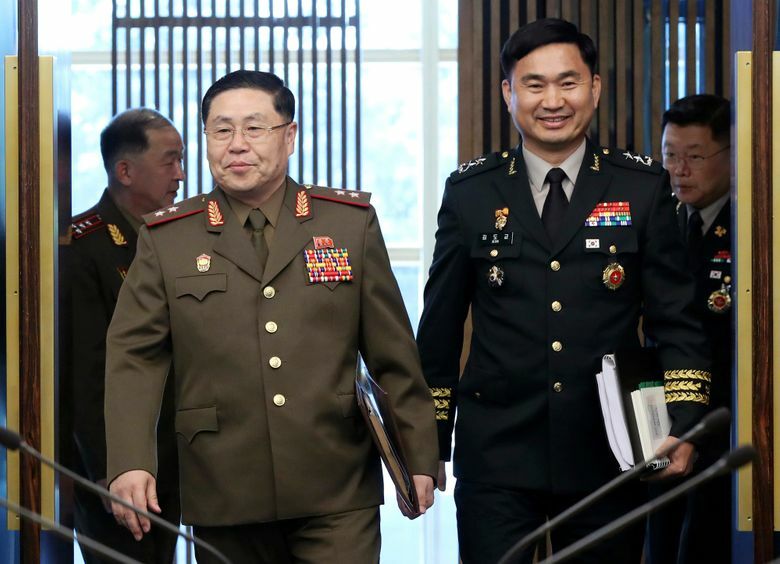 SEOUL, South Korea (AP) — Rare general-level talks between the two Koreas ended with no agreement Tuesday, but the top delegates said they had a meaningful discussion on easing their countries’ decades-long military standoff. Experts said it was still unclear whether the rivals can reach any breakthrough agreement on reducing tensions in the near future because South Korea, in close consultations with the United States, must link any expansion of ties to progress in North Korea’s nuclear disarmament. The Washington Post reported Monday that U.S. intelligence agencies have obtained evidence that indicates North Korea is building new long-range missiles despite ongoing disarmament talks with the United States. It cited anonymous officials “familiar with the intelligence” as saying that work on at least one and possibly two intercontinental ballistic missiles was underway. 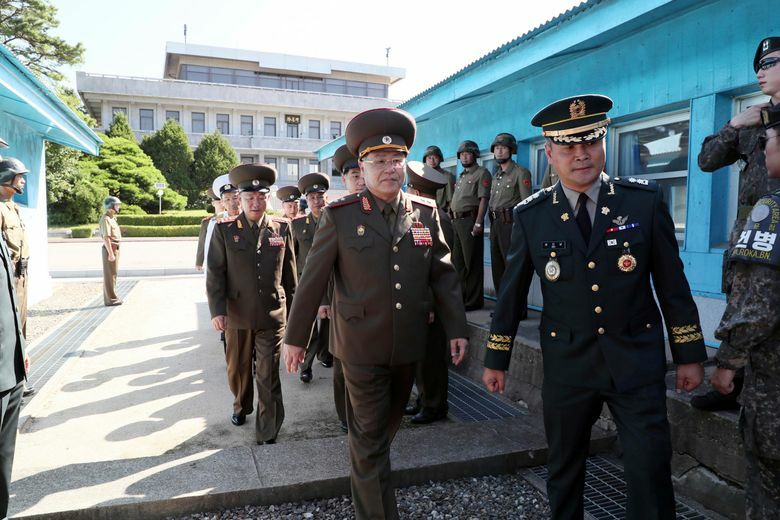 Tuesday’s meeting at the Koreas’ shared border village of Panmunjom was the second such high-level military contact since the two countries’ leaders held a landmark summit in April and pledged to reduce the danger of another war on the peninsula. 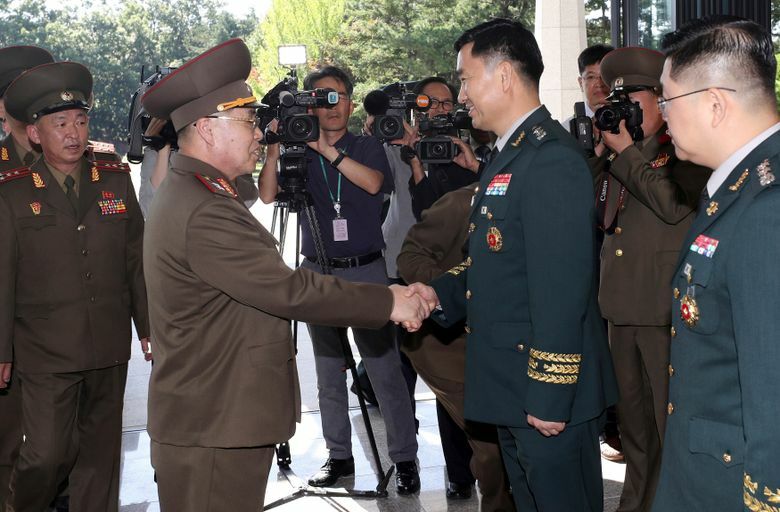 The chief South Korean delegate, Maj. Gen. Kim Do Gyun, said the two sides had a common view in principle on disarming a jointly controlled area at Panmunjom, removing some guard posts from the Demilitarized Zone that bisects the countries, halting hostile acts along their disputed sea boundary, and conducting joint searches for soldiers missing from the 1950-53 Korean War in DMZ areas. 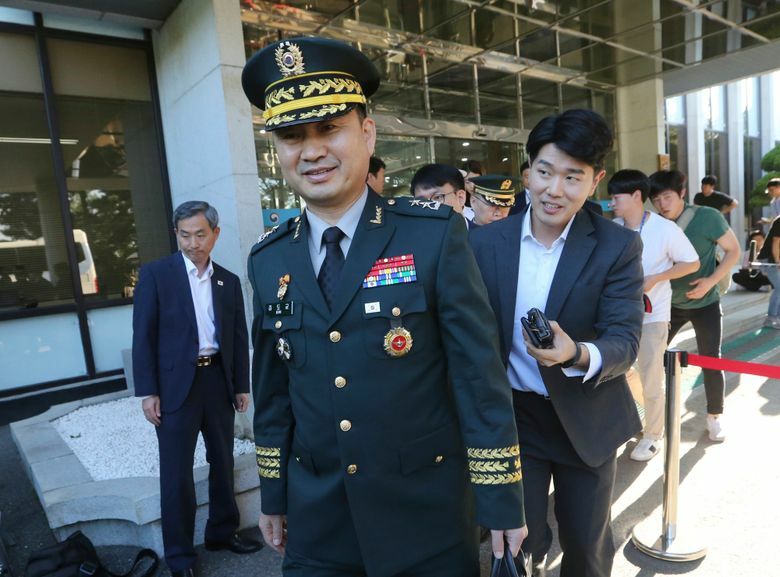 He said the Koreas will continue talks on details of the issues, according to Seoul’s Defense Ministry. 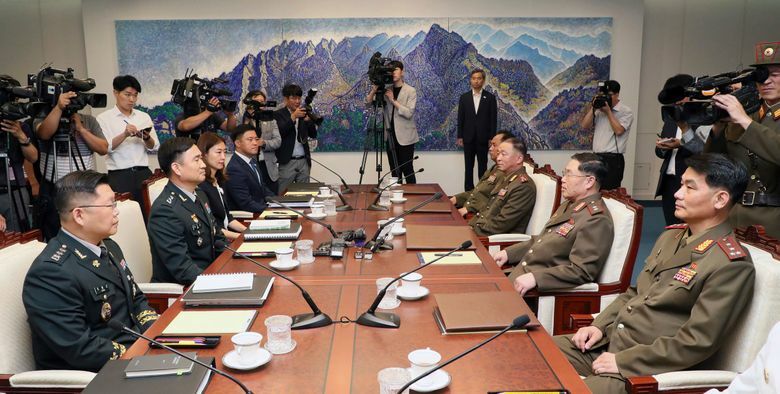 Kim described Tuesday’s talks as “sincere” and “candid,” saying he believes the two militaries could contribute to establishing a lasting peace between the countries. 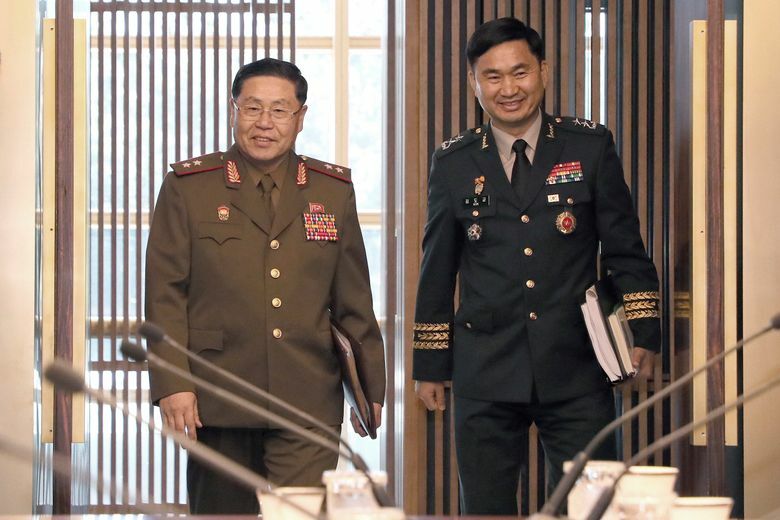 His North Korean counterpart, Lt. Gen. An Ik San, said the talks were “productive” and that he also believes many pending military issues can be resolved. During the April summit and a June meeting with U.S. President Donald Trump, North Korean leader Kim Jong Un expressed his commitment to the “complete denuclearization of the Korean Peninsula.” But there have been concerns that North Korea hasn’t taken any serious disarmament measures since then. North Korea suspended its missile and nuclear tests and shut down its nuclear test site, and recent satellite photos indicate it also began dismantling key facilities at its main rocket launch site. But many foreign experts believe those are not enough to prove it’s serious about disarmament, saying the North must first submit a list of nuclear assets to be dismantled. North Korea entered talks with the United States and South Korea earlier this year apparently because it urgently needs to revive an economy hit hard by American-led U.N. sanctions. Kim has made it clear that he prefers a step-by-step disarmament process that is matched by reciprocal outside rewards and concessions for each step. Many experts say North Korea merely intends to weaken the sanctions and has no intention of fully giving up its nuclear weapons. Last Friday, North Korea returned what were said to be dozens of remains of American soldiers missing from the 1950-53 Korean War, something Kim promised during his summit with Trump. Trump thanked him for “fulfilling a promise” to send back U.S. remains and said it was a step in the right direction following their summit. In exchange for returning the U.S. war dead, North Korea may demand that the United States agree on a declaration to end the Korean War as a U.S. security guarantee. The Korean War ended with an armistice, not a peace treaty, leaving the peninsula in a technical state of war. 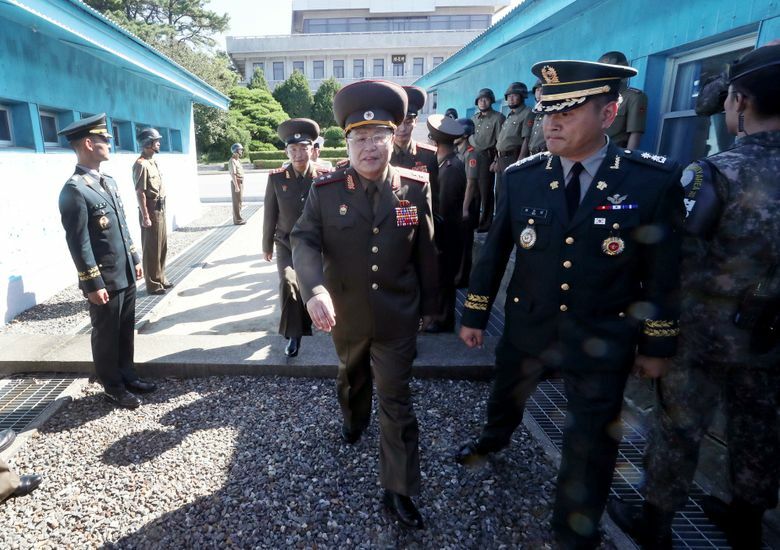 North Korea has long argued its nuclear weapons are a response to U.S. military threats, and that it wants to sign a peace treaty with the United States to formally end the war. That could then allow the North to demand the pullout of 28,500 U.S. troops deployed in South Korea. 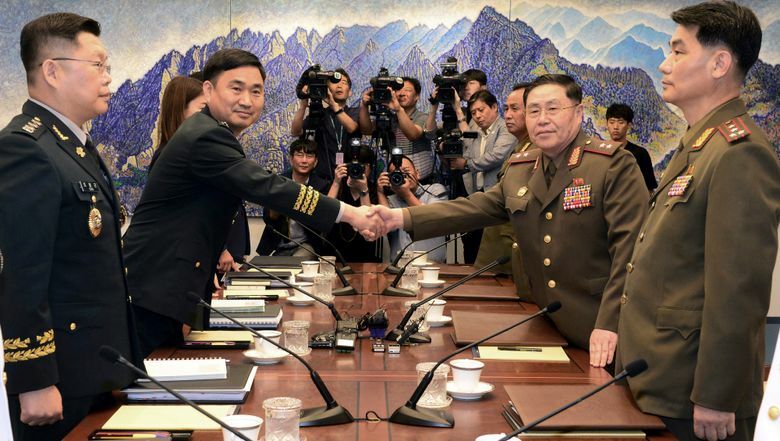 The military talks are part of a number of recent steps toward reconciliation by the Koreas that began with North Korea’s participation in the February Winter Olympics in South Korea. The Koreas are to field combined teams in basketball, rowing and canoeing during the upcoming Asian Games in Indonesia. On Tuesday, North and South Korean athletes trained together in rowing and canoeing in southern South Korea.